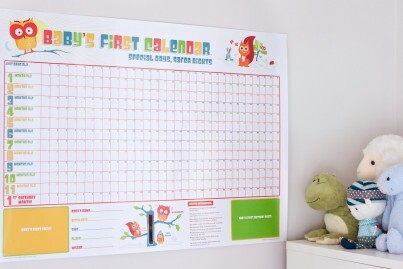 Baby's First Calendar is a unique way of recording your baby's first year and every special milestone they will reach. The colourful and cheerful design means it will fit in with any nursery. 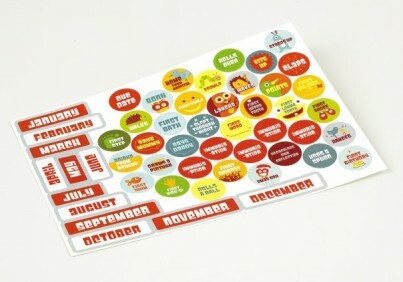 This calendar has over thirty five colourful milestone stickers, from due date all the way to first birthday and everything in between. New parents don't always have a lot of spare time to sit down and fill out milestones books. This means milestones often get missed or guessed when filling the books in. This calendar is placed on baby's wall so is always in view and it takes seconds to pop the stickers on. 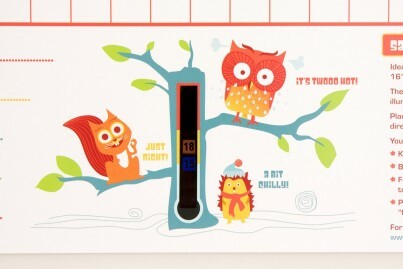 The calendar features a room thermometer and safe sleep advice to make sure your baby is always safe and sound when they are sleeping. 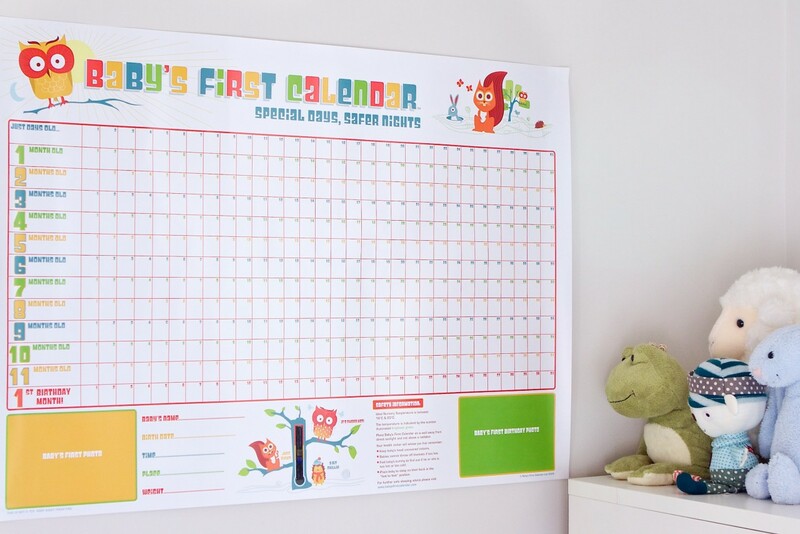 At the bottom of the calendar you will find spaces for baby's first photo and first birthday photo. Once this magical first year has finished, the calendar gets rolled up and popped back into the sturdy presentation box for safe keeping. You may even want to pull it out on baby's 18th birthday! You can use the calendar on its own to record milestones, or if you still want to use a book, then you can use the calendar as reference when you do get time to fill in your book. This way you will never miss or have to make up baby's milestones again! Order by 2pm for same day dispatch. Dispatched same day if ordered by 2pm. Standard Royal Mail 2nd Class. Please allow up to 5 working days for delivery. You have 28 days, from receipt of cancellable goods, to notify the seller if you wish to cancel your order or exchange an item. You have 28 days, from receipt of cancellable goods, to notify the seller if you wish to cancel your order or exchange an item. Please note: goods that are personalised, bespoke or made-to-order to your specific requirements, perishable products and personal items sold with a hygiene seal (cosmetics, underwear) in instances where the seal is broken are non-refundable, unless faulty. Read more about our returns policy. Should you choose to return or exchange your order you will need to deliver the item(s) to the UK, where this seller is based.